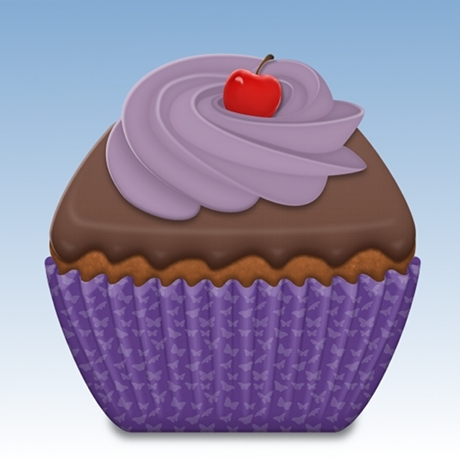 Make stunning cupcakes with Cupcake Doodle! Choose from 15 fun batters, like Confetti, Green Tea or Mississippi Mud. Follow the recipe by sifting the flour, squeezing the lemons, mashing the bananas and chopping the nuts. Before you put your cupcakes into the oven, decide on the cupcake shape you'd like – round, heart, square or fluted square. Next, design your liners using a variety of colors and patterns. Once your cupcakes are out of the oven, frost them with specially designed frosting shapes and colors. You can layer different shapes on top of each other or make two-toned frosting swirls. Put your finishing touches on your creation with sprinkles, jimmies, candies, fruits, flowers, animals, googly eyes and more. When you're done, save your cupcake to your photo album, share it with your friends or simply dig right in and eat it!